I’m not a violent person, I just like to tackle people. 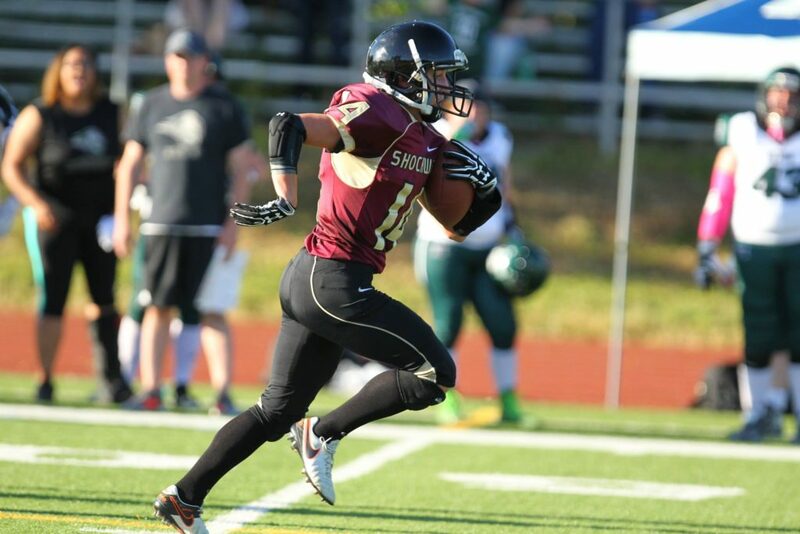 Fortunately, it’s legal when you play women’s football for the Portland Fighting Shockwave. My name is Christi, but you can call me Bonzi—all of my teammates do. 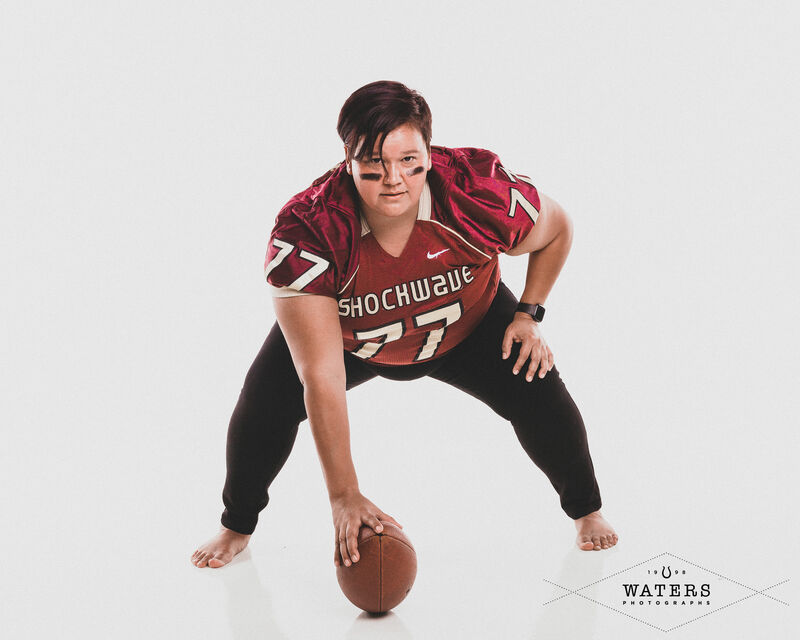 I play women’s football and am one of the Portland Fighting Shockwave team’s linewomen. On offense, I am a guard, and on defense, I’m a nose tackle. When I was skinnier I played defensive end but I’m too slow for that now. 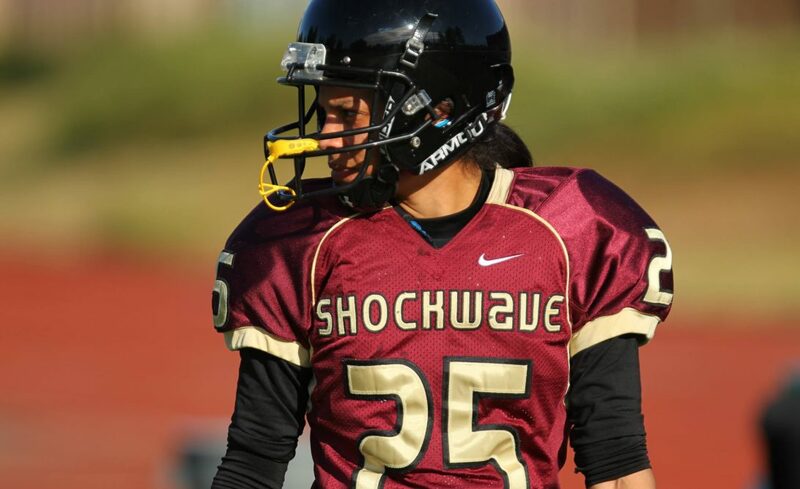 When I first joined the Shockwave and started playing women’s football, getting some exercise and returning to team sports were my main motivations. I had been missing the experience I had participating in high school sports and having that extended family that you gain when you are on a team. What I wasn’t prepared for was the bonus of being valued for being a bigger woman. Being a larger woman limits participation in many team sports. It’s difficult to run as fast as the smaller players in basketball. Soccer, while fun, comes with the same challenge. Even in volleyball, you’re still too slow. Women’s football is perfect for me. It is a sport that uses my slowness—my chunk—for blocking lanes on defense. On offense, I just need to be quick enough to dash in front of the skinny girls, and wide enough for them to hide behind. 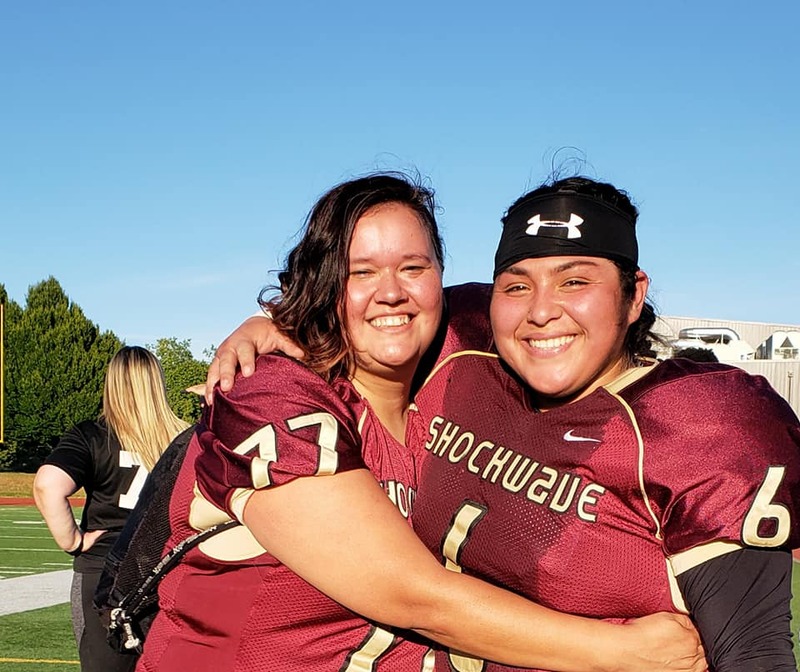 There are few sports with positions that allow larger women to feel as valued for their size as being a linewoman does. Back when my little sister was in middle school, she tried to get on to her school’s football team. The coach said no. His reason? He said football pads weren’t made for women. Ridiculous. At the time I was mad that she wasn’t given a chance, but also relieved because I thought my sister was crazy. Now, I just wish I had known back then what she already knew: hitting people is fun! And, I also find myself wondering what his real problem was. The following are answers to common questions that come up when people find out I play women’s football. Do you wear protection? 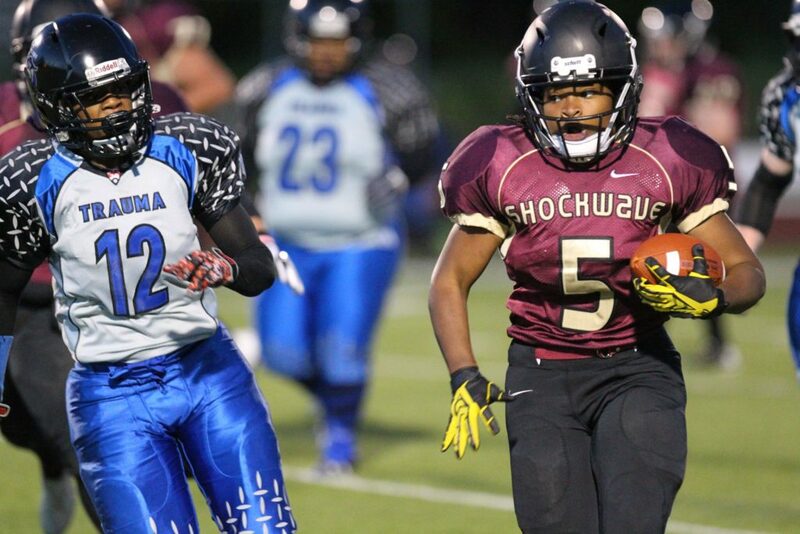 Yes, we wear pads and helmets. Do you have to be big to play on the team? No, you don’t have to be a big hulking menace in order to play (though it is helpful, and if you are a beast please contact me). Does getting tackled hurt? No, getting tackled doesn’t hurt as bad as you might think. 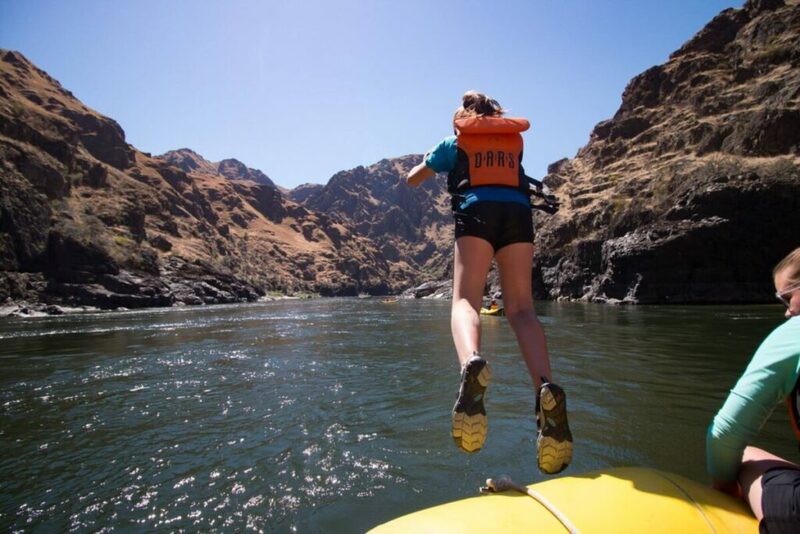 You fly the air and then kind of bounce when you hit the ground. Thank you pads! Do you play in lingerie? No, we do not play in lingerie. Don’t ask again. The official season and practices begin in January with our first game in April. We have coaches and fans and jerseys with our names on them. No, we do not get paid. No, you haven’t heard of us because women’s athletics—women’s football in particular— isn’t as popular or well-funded as men’s (shocker). We have gone on the news and radio to get our message and our team out there and recognized. KATU’s Wesleigh Ogle did a segment on us back in December and it helped us recruit women for team tryouts. But it was also disheartening because the many Internet trolls came out of the woodwork. 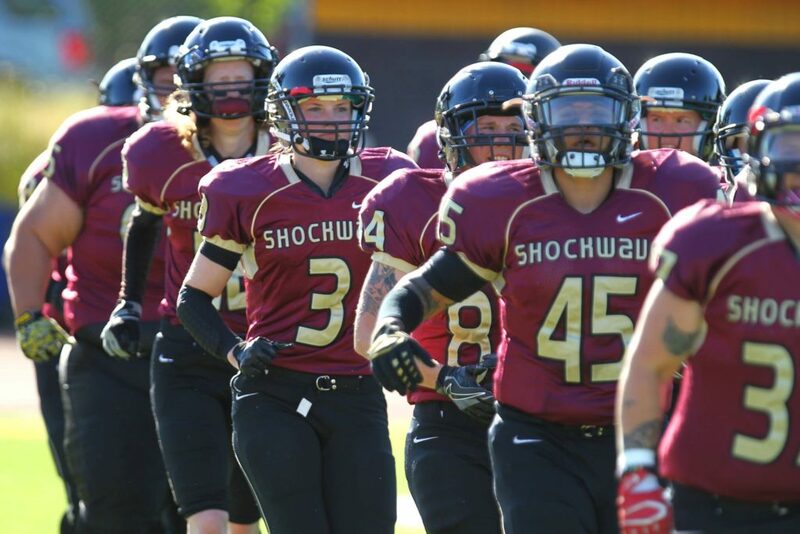 Portland’s Fighting Shockwave is a Division 1 team. One of approximately 67 teams playing in the Women’s Football Alliance (WFA). The Pacific Region encompasses Seattle, Tacoma, Portland, Medford, and reaches all of the way down to the California Warriors in the LA area. This is the 18th year that the Shockwave has been in business. We count our league titles, along with our various offseason activities including adopting families for Christmas, distributing supplies to the homeless, and supporting young women in athletics, amongst our many accomplishments. 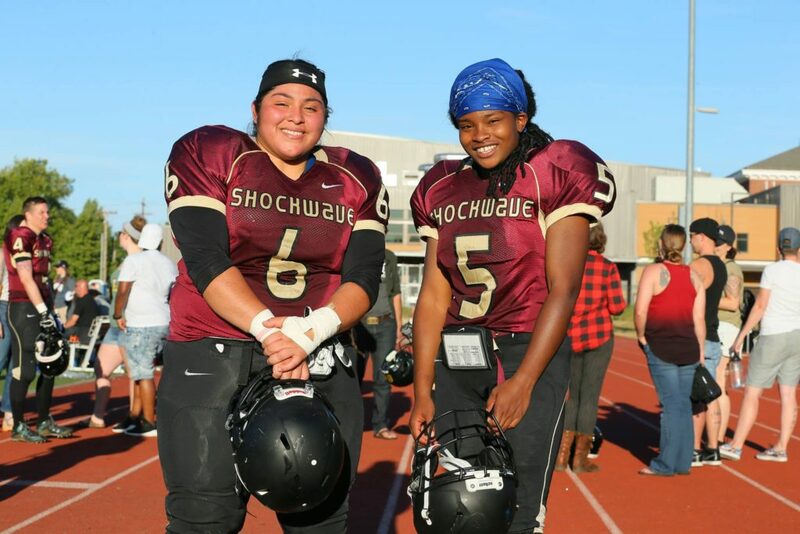 If you are interested in getting involved in women’s football, visit the Women’s Football Alliance website and look for a team by state. If you live in the Portland area and are interested in joining the Portland Shockwave team, contact them. If teams take donations, donate! Hi there! My name is Christi but you can call me Bonzi, I am a linewoman for the Portland Fighting Shockwave. My focus will be writing about the highs and lows of women competing professionally in male dominated sports.